NFL ratings have been terrible this season and everyone with a stake in the game is trying to figure out why. Among the proposed explanations are cord-cutting, a presidential election that people can’t take their eyes off of, boring games, and overexposure. Now, someone has finally asked the people why they’re tuning in to fewer NFL games, and the top answer is none of the above. According to a Yahoo/YouGov poll, 29 percent of NFL fans are watching less football than in years past. 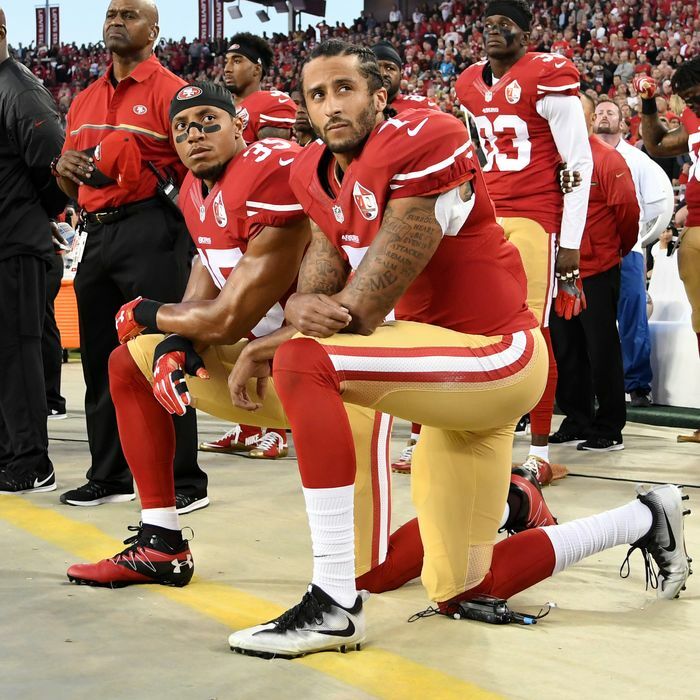 Of that group, 40 percent blame the national anthem protests started in the preseason by Colin Kaepernick. That was an especially popular reason for those 55 and over. Fifty-three percent of that group cited protests as their main reason for avoiding the NFL. Only 13 percent of 18-to-34-year-olds who cut back on the NFL have done so because of lowered knees and raised fists. The other reasons people are tuning out the NFL are a lack of opportunities to watch (31 percent), a loss of interest (28 percent), and an obsession with the presidential election (17 percent). There’s good news buried in all this for the NFL. On November 9, many will be ready for a palate-cleanser after the vicious blood sport of American electoral politics. The NFL should fill that role nicely.